It’s been several years but we finally returned to Legalweek to check out the new format of the conference formerly known as Legaltech. In addition to subdividing what had been one conference into five, Legalweek has gone through a lot of changes to appeal to a wider interest within the big firm space. Among the new categories of conferences are Business of Law Forum, Legal CIO, Legal Diversity & Talent Management, and Legal Marketing. Although the layout has changed somewhat, Legalweek still takes place at the New York Hilton in Midtown Manhattan. With big name presenters like Attorneys General Loretta Lynch and Alberto Gonzales as well as heads of legal for some of the largest corporations in the world, this event still garners much influence. If you are new to Legalweek, it can be overwhelming finding your way. In my interview with Zach Warren, editor in chief of Legaltech News (organizers of Legalweek), he recommended starting with the agendas and setting personal priorities as well as reaching out to veteran attendees for their insights. On a personal note, the floorplan of the Hilton is a little difficult to navigate. So, my recommendation is to check in with registration if you’re having a hard time finding your session. We didn’t have much time at Legalweek but we were able to record 6 episodes from the venue, including two ‘Law Technology Nows’ with host Dan Linna from Northwestern, a ‘Thinking Like a Lawyer’ with hosts Elie Mystal and Joe Patrice from Above the Law, and three ‘On The Roads’ hosted by yours truly. Of particular enjoyment was my audio interview with Cynthia Brown, June Liebert, Jean O’Grady and Cheryl Smith. They are in charge of technology and innovation onboarding at Littler Mendelson, Sidley Austin, DLA Piper, and O’Melveny & Myers respectively. 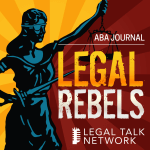 They shared their unique insights on the inner workings of getting groups of attorneys to adopt new technologies, including what they look for in trusted vendors. 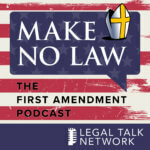 If you’re in the market of providing goods and services to the legal industry, I recommend giving this episode a listen. Cynthia Brown – Director, Research Services at Littler Mendelson P.C.